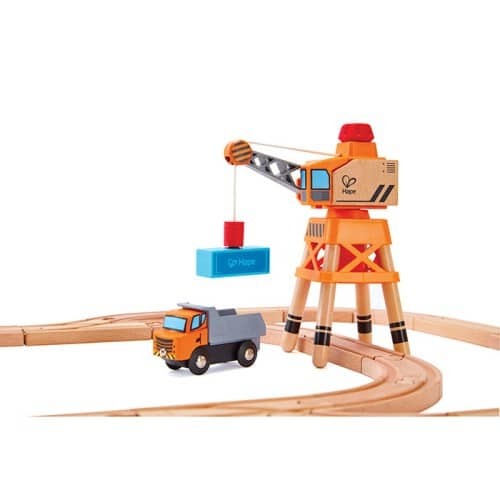 Rotate the button on this boom crane to release its magnetic hoist line and pick up cargo! 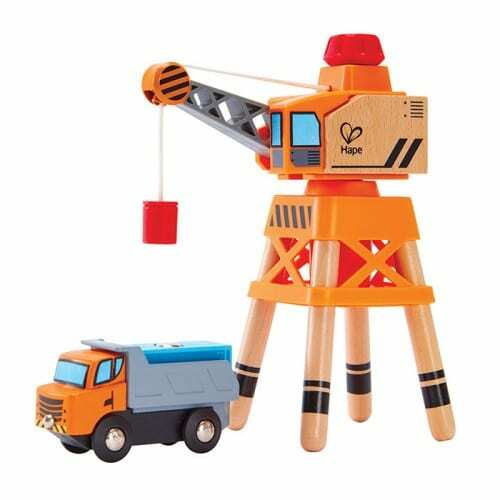 The crane’s lifting arm swings 360 degrees and makes a reassuring clicking noise as it turns. The crane’s legs are wide enough for tracks and trains to fit easily underneath. 1. Drive the tip truck up to the boom crane. Tip the truck’s tray to dump the load. 2. Swing the crane’s lifting arm around to the load. 3. Use the magnetic hoist line to secure and lift away the cargo. A great resource promoting fine motor control and creativity. 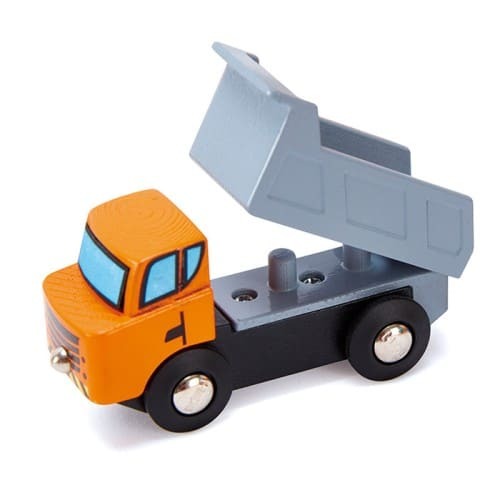 Includes 1 x Crane, 1 x Truck, 1 x Cargo Container. Measures 18.5cm Height x 14cm Width x 8cm Depth.